Below you fill find all funeral homes and cemeteries in or near North Cape May. Suburbs of North Cape May: Cold Spring, Erma, Fishing Creek, N Cape May, Town Bank, West Cape May. North Cape May is also known as: Cape May County / North Cape May CDP. Zip codes in the city: 08204. North Cape May is an unincorporated community and census designated place (CDP) located within Lower Township in Cape May County, New Jersey, United States. It is part of the Ocean City Metropolitan Statistical Area. At the 2010 United States Census, the CDP's population was 3,226. The Cape May-Lewes Ferry departs from the area. 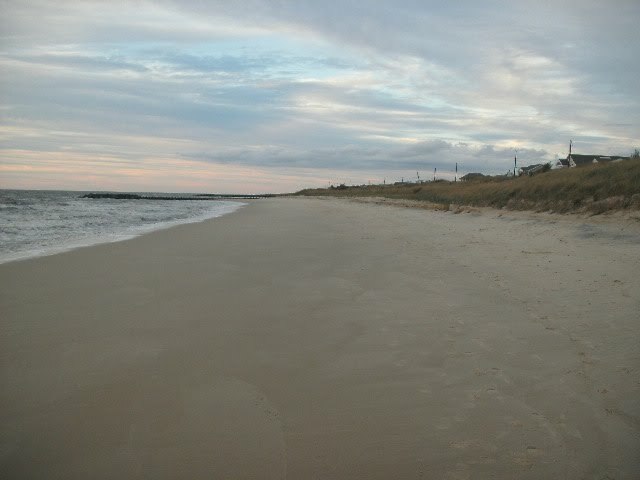 North Cape May is mostly a residential community, with no hotels but many vacation homes. Many people come here after they retire.North Cape May had existed as an independent borough, formed by an Act of the New Jersey Legislature on March 19, 1928, from portions of Lower Township. The borough remained independent until April 30, 1945, when it was returned to Lower Township. The borough had a population of 5 at the 1930 Census, which increased to 8 by 1940. It was noted by The Daily Journal on October 15th, 2016 that Juan S Melendez died in North Cape May, New Jersey. Melendez was 86 years old and was born in Fajardo, . Send flowers to express your sympathy and honor Juan S's life. It was disclosed by The Daily Journal on April 4th, 2016 that Lor) passed on in North Cape May, New Jersey. Lor) was 90 years old. Send flowers to express your sorrow and honor 's life. It was disclosed by The Daily Journal on April 4th, 2016 that Lillian Pearce (Taylor) passed on in North Cape May, New Jersey. Ms. Pearce was 90 years old. Send flowers to share your condolences and honor Lillian's life. It was revealed by The Daily Journal on November 16th, 2015 that Betty Ruth Steelman passed on in North Cape May, New Jersey. Steelman was 84 years old. Send flowers to express your sympathy and honor Betty Ruth's life. It was written on July 29th, 2014 that James G Zent passed on in North Cape May, New Jersey. Zent was 82 years old and was born in Bismarck, ND. Send flowers to express your sorrow and honor James G's life. It was disclosed on February 21st, 2013 that D Jane Bair (Turner) passed away in North Cape May, New Jersey. Ms. Bair was 72 years old and was born in Philadelphia, PA. Send flowers to express your sympathy and honor D Jane's life. It was written on July 3rd, 2012 that Jean Richards (Saden) perished in North Cape May, New Jersey. Ms. Richards was 92 years old and was born in Rochester, NY. Send flowers to share your condolences and honor Jean's life. It was noted by The Daily Journal on November 10th, 2011 that Carolyn Partington (Detora) died in North Cape May, New Jersey. Ms. Partington was 83 years old. Send flowers to express your sorrow and honor Carolyn's life. It was reported on May 6th, 2011 that Marie E Kildea (Matsinger) died in North Cape May, New Jersey. Ms. Kildea was 92 years old and was born in Philadelphia, PA. Send flowers to share your condolences and honor Marie E's life. The Cape May ... in North America is providing funding for the purchase of materials and equipment needed for the project's completion. The organization has chapters located throughout the entire United States including locations throughout New Jersey. Experience Fall at Cape May County Zoo! Tomorrow he may be the Republican congressman-elect from North Carolina ... Marines funeral who had served under him. He was really in bad shape, said Jeff DeJessie, a friend and fellow Marine whos now a fireman in New Jersey. Funerals in Cape May, NJ on Yahoo! Local Get Ratings & Reviews on Funerals with Photos, Maps, Driving Directions and more. Welcome to Northeastobits.com, the only online obituary provider designed exclusively for the New York, New Jersey and Pennsylvania. We work with local florists and flower shops to offer same day delivery. You will find budget sympathy flowers in North Cape May here. Our funeral flowers are cheap in price but not in value.